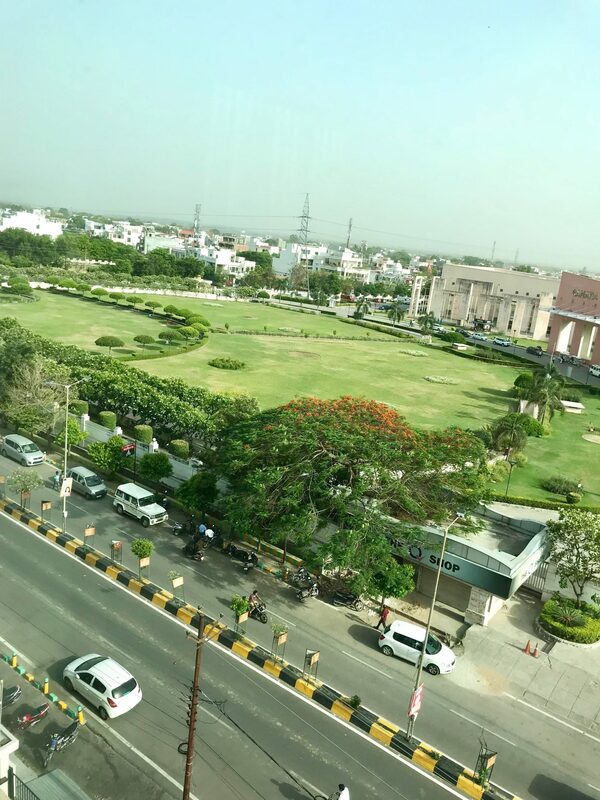 I had to be in Lucknow known as the city of Nawabs and while I was choosing where to stay I decided Novotel Lucknow. 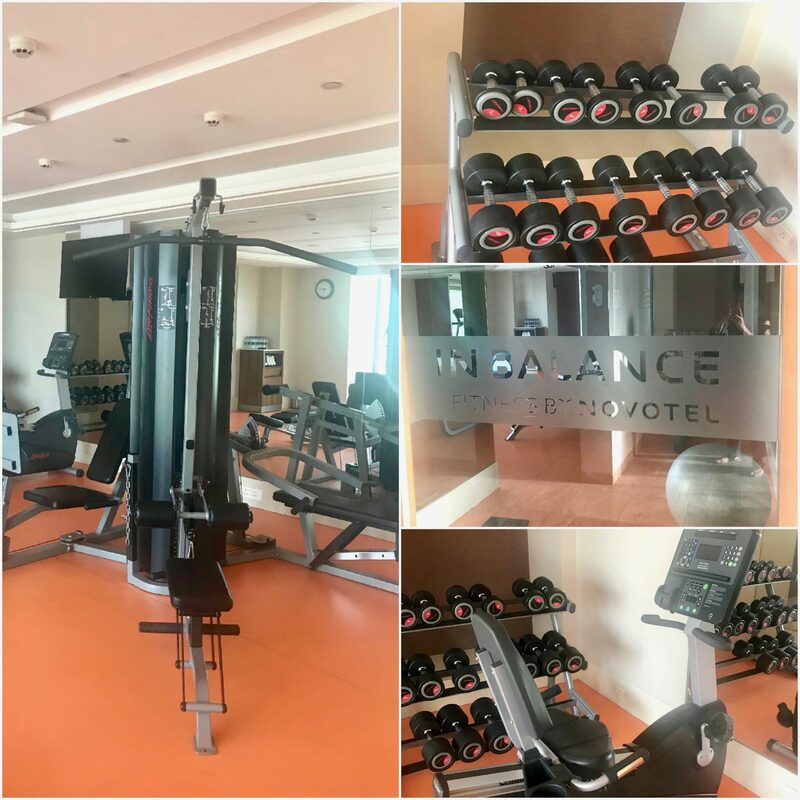 Located at Gomti Nagar, which is a 30 minute drive from the Airport as well as the Railway station, it boasts of being one of the best 5-star hotels in Lucknow that too when the hotel has just turned one. Yes, the hotel which started its operation on May 1, 2017 has an occupancy of 106 rooms which are mostly sold out on any given day. 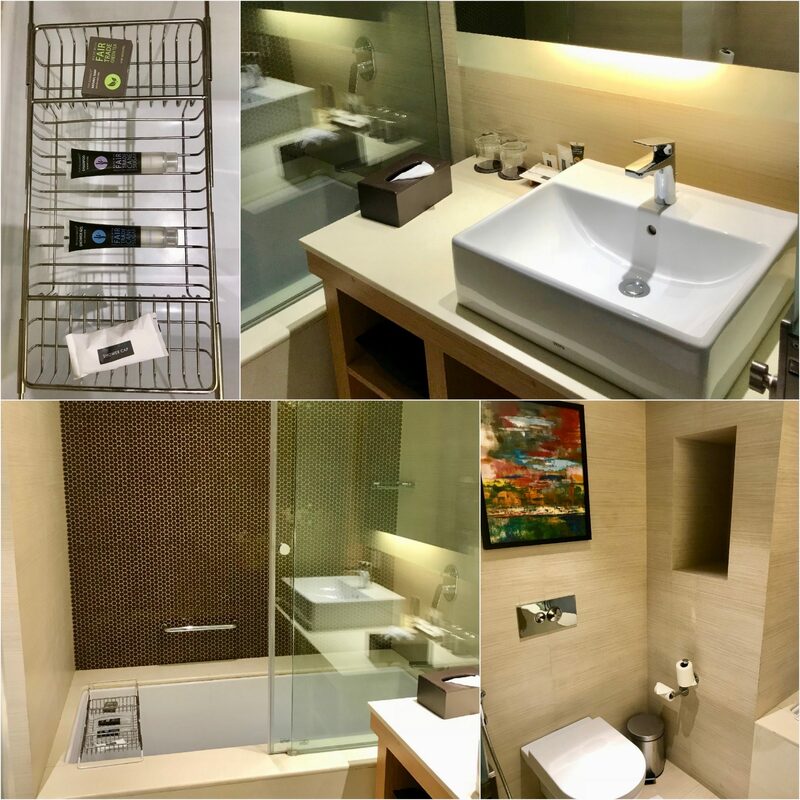 With 92 superior rooms, 12 executive rooms and 2 suites, the hotel is well-equipped to understand the growing needs of its consumers. I made my entry to the hotel around 4 PM and loved the peaceful environment which captivated me on a summer day. The automatic door opens to a lovely ambience and a flowery welcome lifts your mood. An interesting chandelier on the ceiling above the flowers is an attraction not to be missed. The friendly staff of the front office standing at the back of an interesting illuminated rock kind of table helped me with my check-in formalities and I was taken to my lovely room. The room had a lovely charm in itself. I have always been a sucker for natural light as well as a great view and this room boasted of both. Not only that, the colourful cushions over the white bed sheet of the bed made for an elegant combination. The well illuminated room courtesy the natural light, bedside lamps and lights spread across the whole room made the room a captivation. The comfortable couch was certainly another feather on the hat which can be used to relax while watching TV or can even be converted in a bed too if there is an extra occupant. 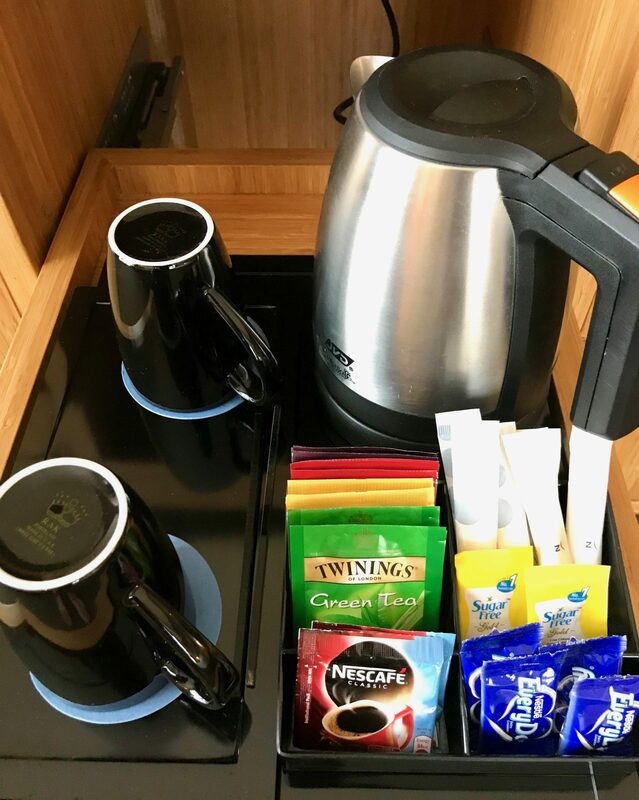 Other facilities include tea/coffee maker, mini-bar, bottled drinking water, wardrobe and en-suite bathroom with hot/cold water facility and toiletries. 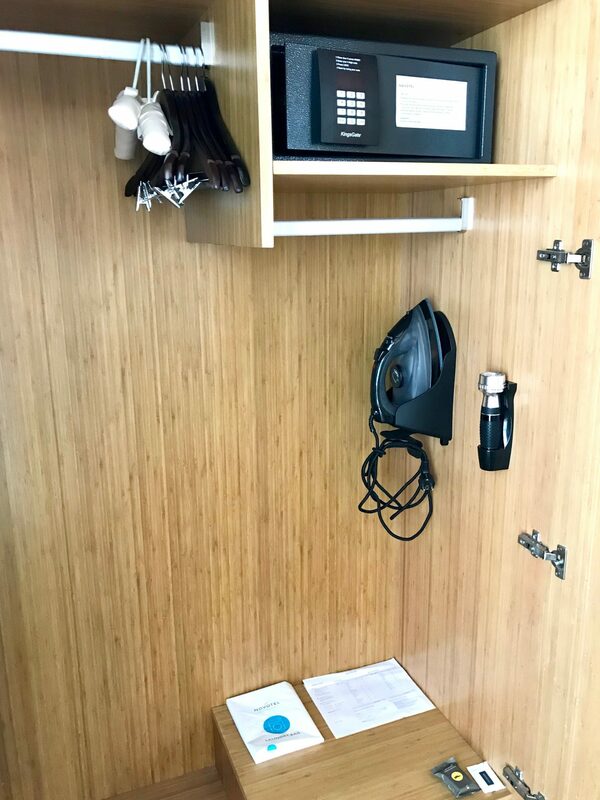 The large wardrobe was well equipped with a locker, an iron, iron board, sewing kit and a shoe shiner. 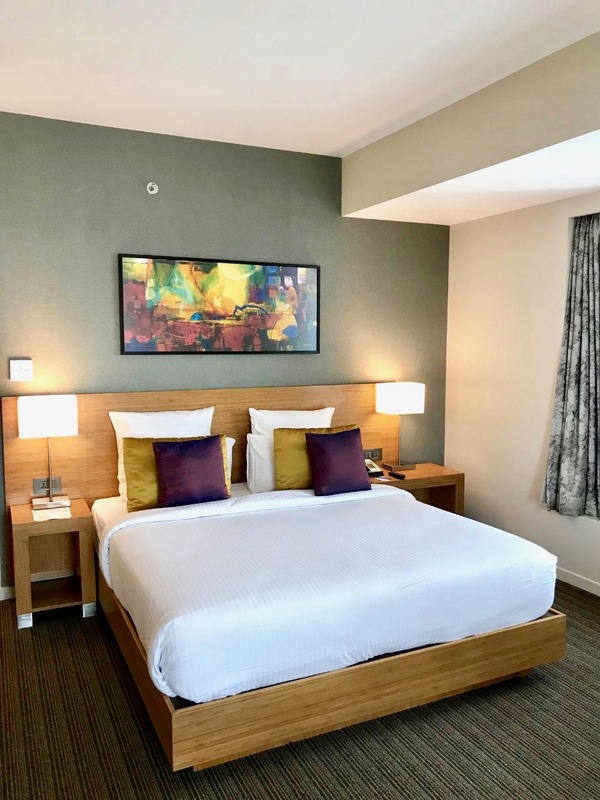 The hotel is in close proximity with business and entertainment hubs like Vibhuti Khand, Singapore Mall and local attractions like Hazratganj, Bara Imambara, Ambedkar Park and British Residency. My dinner reservations were for the rooftop restaurant of the hotel and I could not be more delighted. 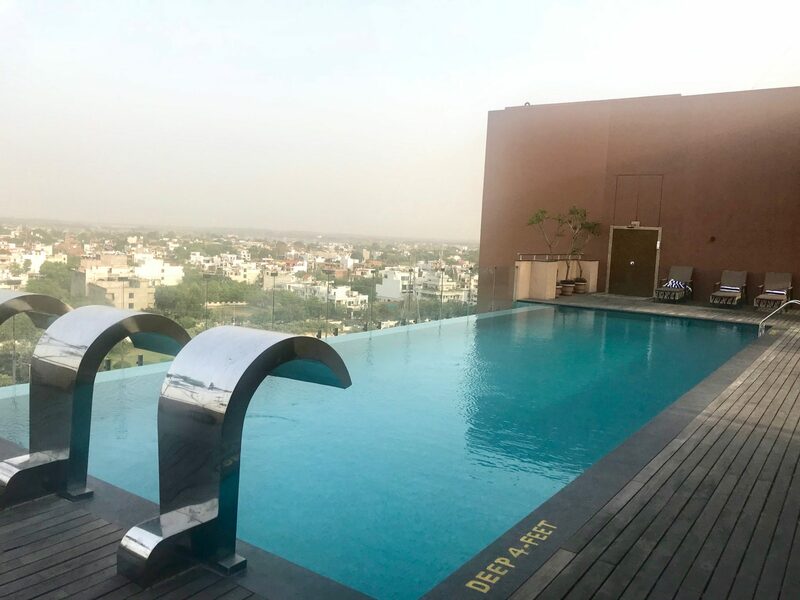 For the perfect evening sun downer, Rooftop Bar features a scenic al fresco area by the rooftop pool and serves up a lip-smacking melange of Indian culinary creations and live grills. 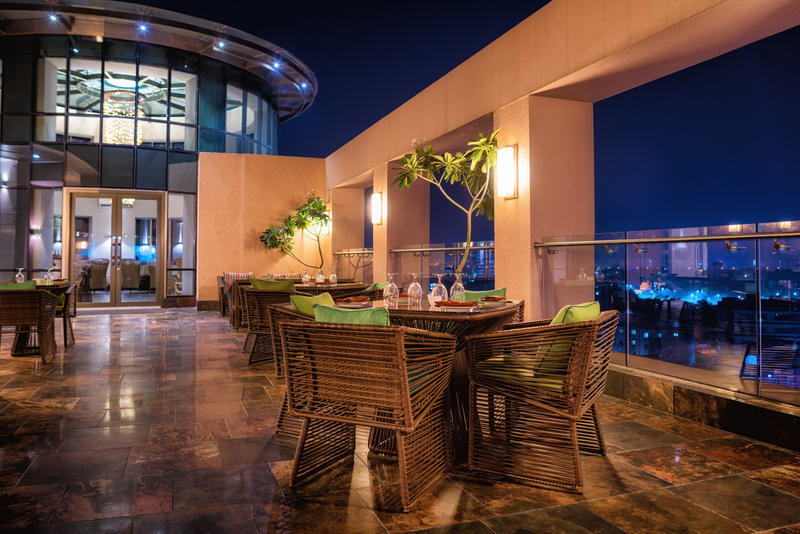 The restaurant’s starlit bar offers breath-taking views of the city’s skyline and a variety of evening cocktails. I was absolutely mesmerised by the aura of the place and the set up. Cane furniture made for a comfortable yet a unique set-up with an open kitchen with colourful props, rooftop ambience, natural breeze with a green landscape around. A great view which made dining a pleasurable experience, a screen which made those special moments come alive and the colourful lamp shades, everything just added to the charm. 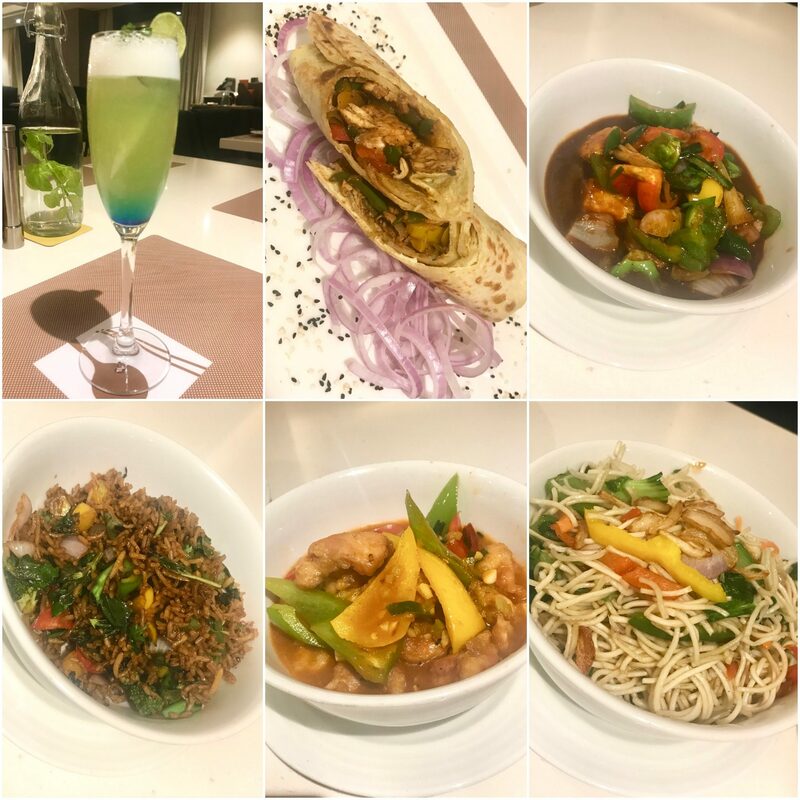 It was now time to try the food and I went as per the recommendations of Aman Kishor, F&B Manager of Novotel Lucknow. While I was busy checking out the view and capturing everything on my lens, I realized my dinner table was set and my drink had already arrived. I started with Orange and Mint Ecstasy. Must say the refreshing preparation had a great flavour and I was totally impressed! I was already looking forward to more and my expectations were raised! My second dish was Nachos with Salsa Dip. I thought what could be different for a classy dish like this and without a thought I picked a nacho and dipped in the salsa. The burst of flavours which I felt were really different from what I would have experienced anywhere. 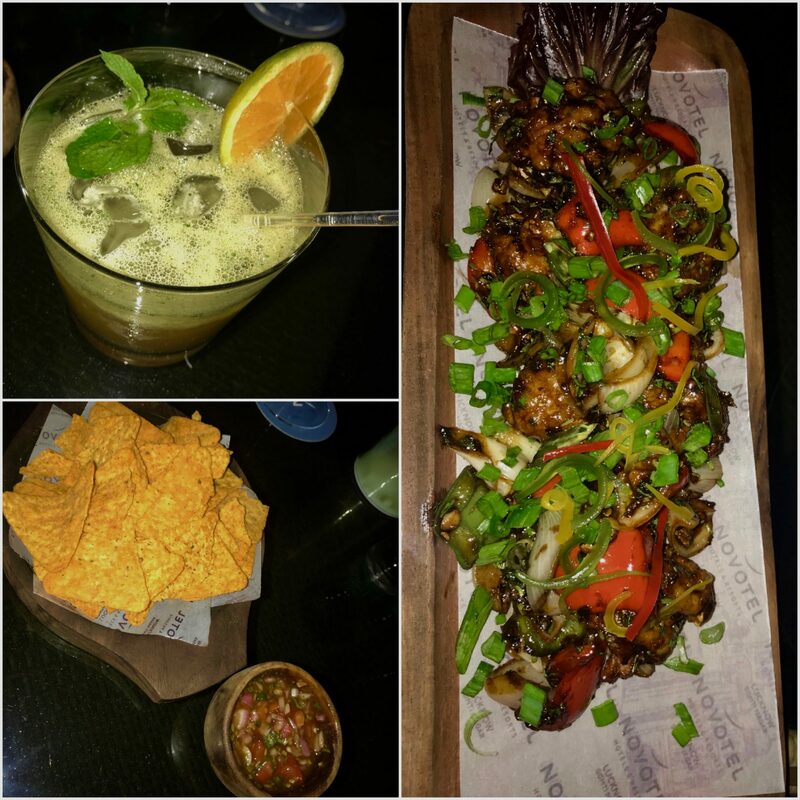 The salsa dip served with the crispy nachos had a magic touch of parsley with finely chopped onion and tomato. Loved it! Chilli Prawns made their entry next and the blend of flavours which came along with red bell pepper, capsicum and onion not only made the taste wonderful but also made the dish colourful and visually appealing. It was time for a second drink and I ordered Basil Mojito. The classy drink lived upto it’s expectation! 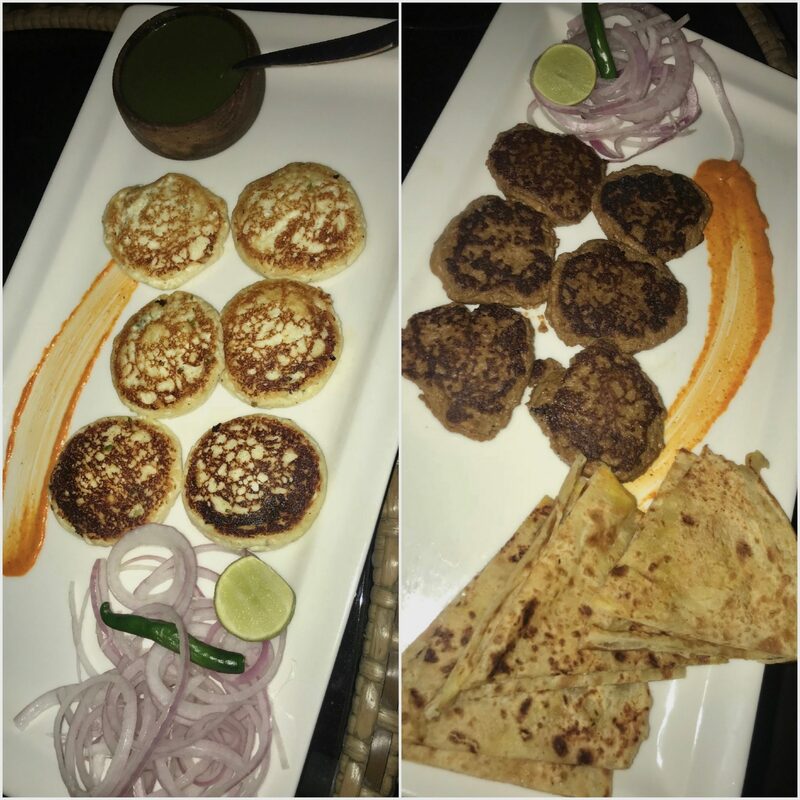 Dahi Ke Kebab made its way to my table in a beautiful platter with onion and mint chutney, the great flavours and soft texture melted in my mouth but what delighted me more were the Galouti Kebabs served with Ulte Tawe ka paratha which were a true delicacy of the city as well as the hotel! Even the word ‘delicious’ would be less to describe the great taste. Seekh Kebab was again a great addition but nothing in front of the galoutis! Time for Déjà vu– Yes, another amazing drink which had a blend of peach, strawberry, ginger and pineapple. The sweet texture was what I loved! Though I was almost full but Aman insisted that I should have main course as well and how could I miss having Nalli Nihari while I am in Lucknow. 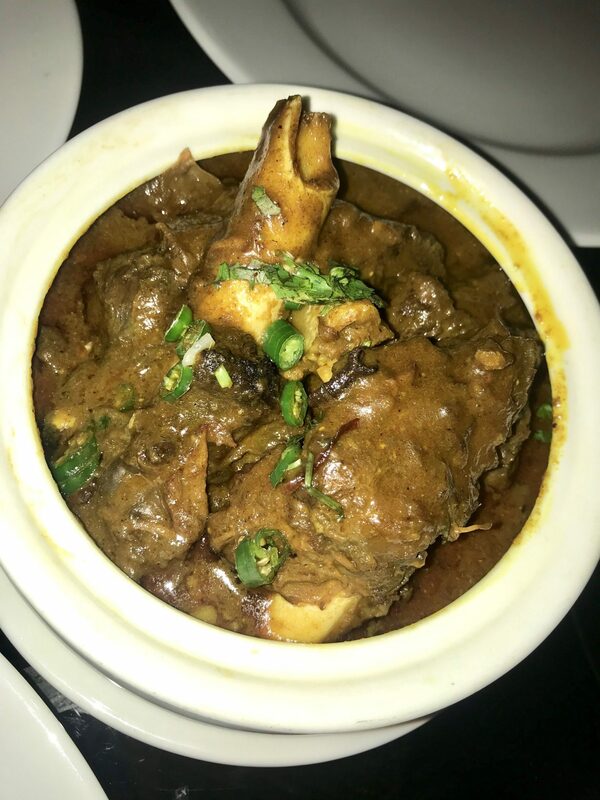 Though I requested for a small portion and the amazing Nalli Nihari blended well with my taste buds for its marination, spices as well as flavours. To give company to Nihari was a plain naan and I loved it. The Mutton Biryani with juicy with yummy pieces of mutton and the long grains of rice was again a hit and would be recommended if you ever dine-in here. 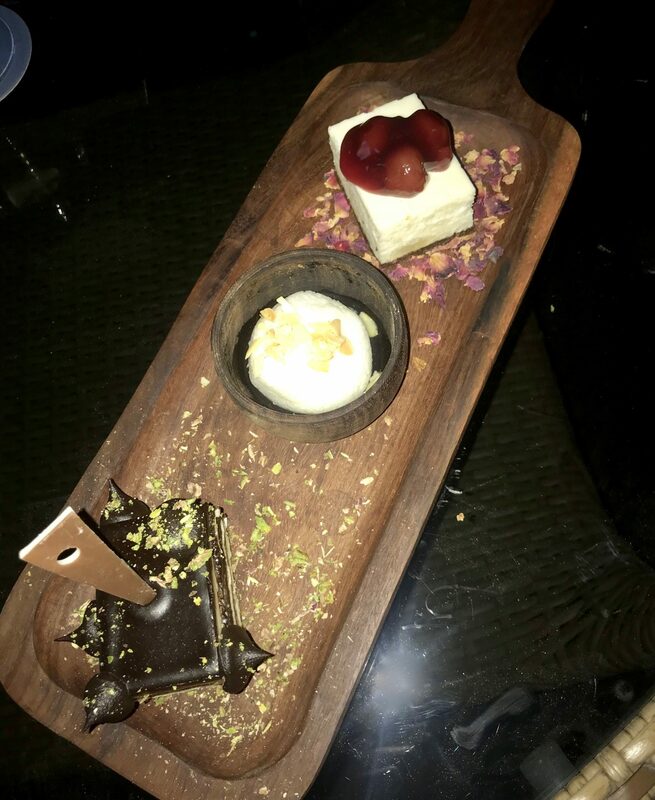 There is always room for desserts and I was served Opera Pastry, Rosgulla and New York Cheese Cake. Great presentation as well as taste! Honestly, the whole experience was majestic and difficult to express in words! One has to experience it to truly enjoy it. If you are not an outdoor person there is an indoor seating option as well. It was the IPL season when I had gone and I could see the spirit of cricket alive. 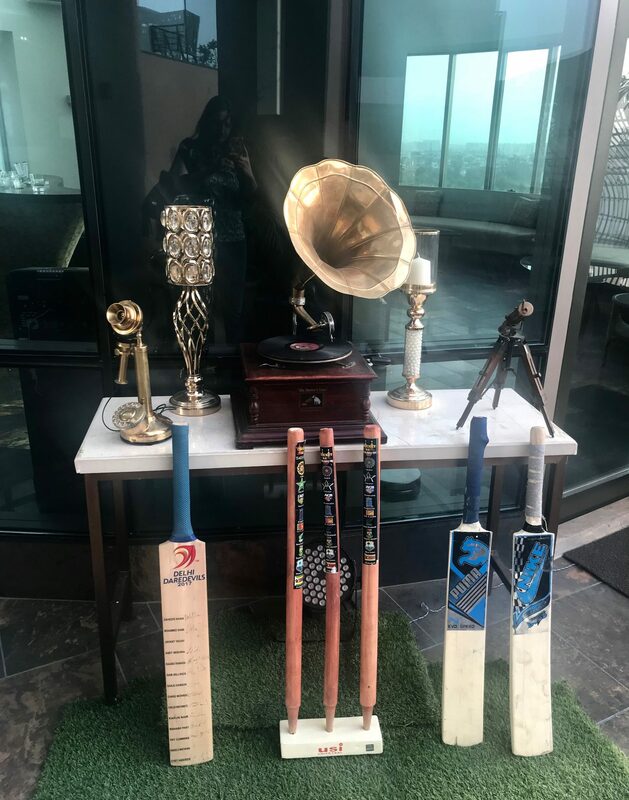 Cricket inspired props to IPL inspired menu….it was all there. The projector was playing the live match too! Considering I had a long day, I retired for the day with excitement of the next day because it looked even more buzzing. I woke up fairly on time and went for the breakfast. 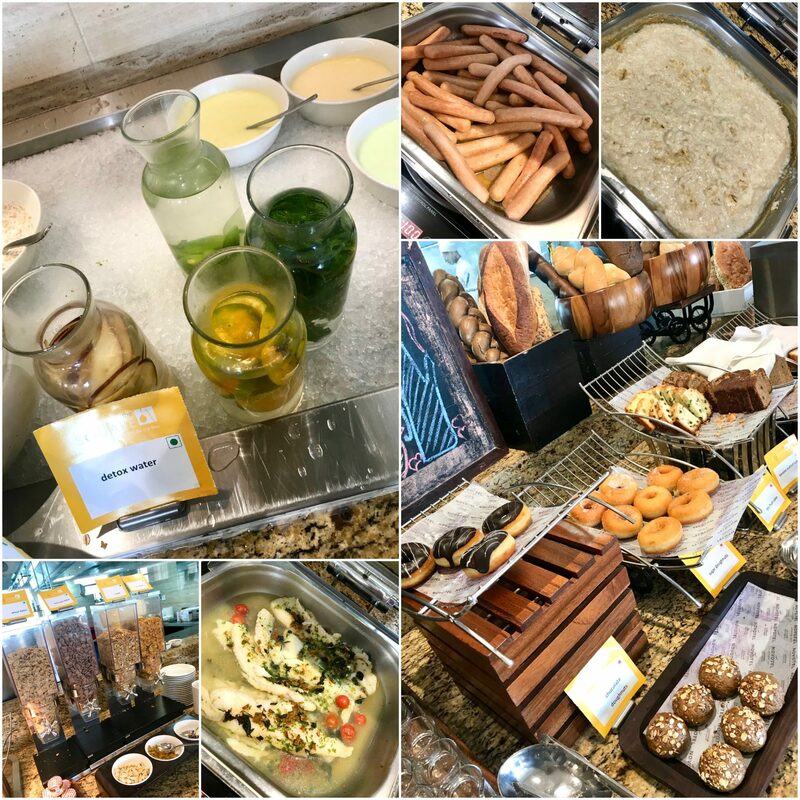 The lavish breakfast was laid out at The Square, an all-day dining signature restaurant of Novotel Lucknow. Though there were an array of options which boasted of Eggs to Dosa to Nalli Nihari to Chhola Kulcha to Desserts, I made my selective pick considering I wasn’t too hungry after a heavy meal the previous night. Upma was light with nice taste. Poha had great flavours with the addition of peanuts which made it even more appealing. 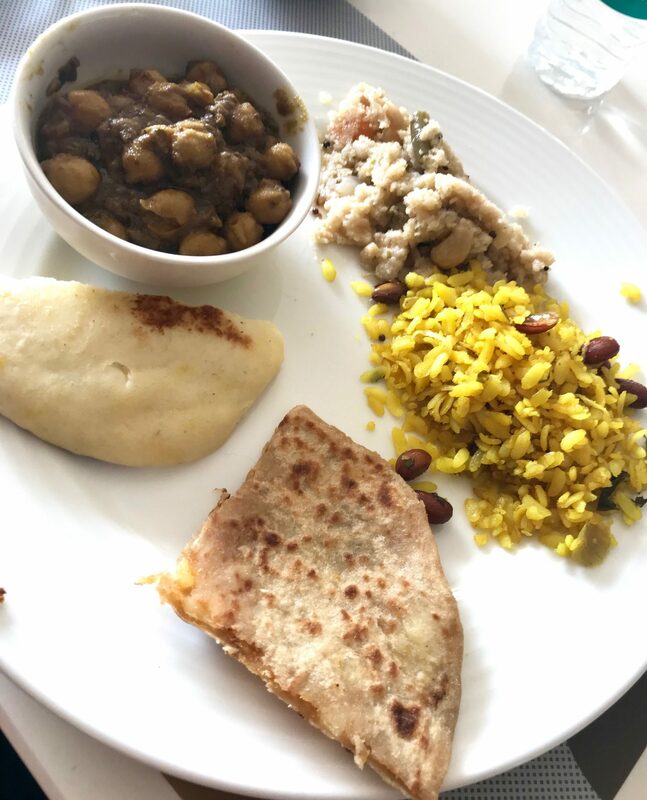 Chhola Kulcha was a delicacy for a North Indian like me though people in Lucknow like to have Nalli Nihari and Kulcha as a combination in Lucknow for breakfast. I also tried Aloo paratha with plain curd which was nice and well stuffed. 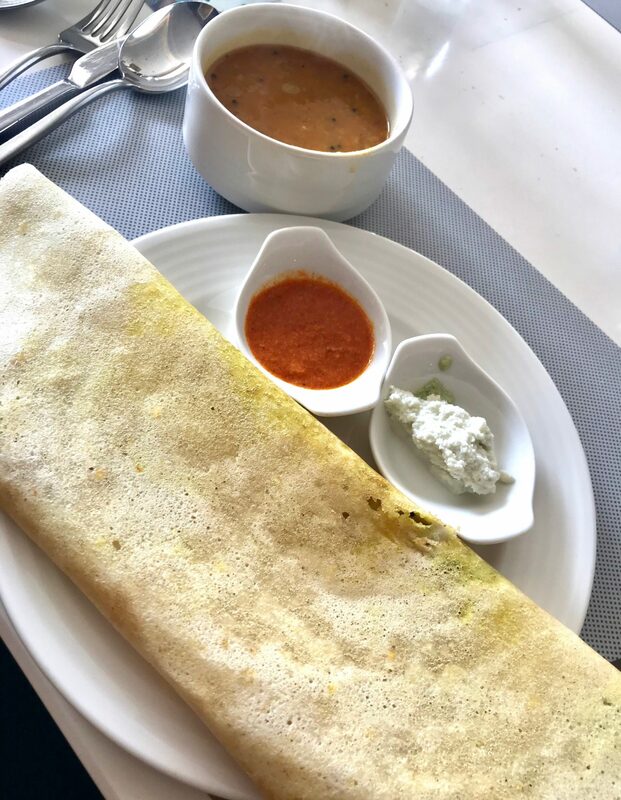 From the live counter I chose Masala Dosa which was relished with sambhar and chutney. The live counter also had options for Omelette and eggs to order. I tried the yummy croissant with butter too. For dessert I chose Moong Dal Halwa with was absolutely yum! 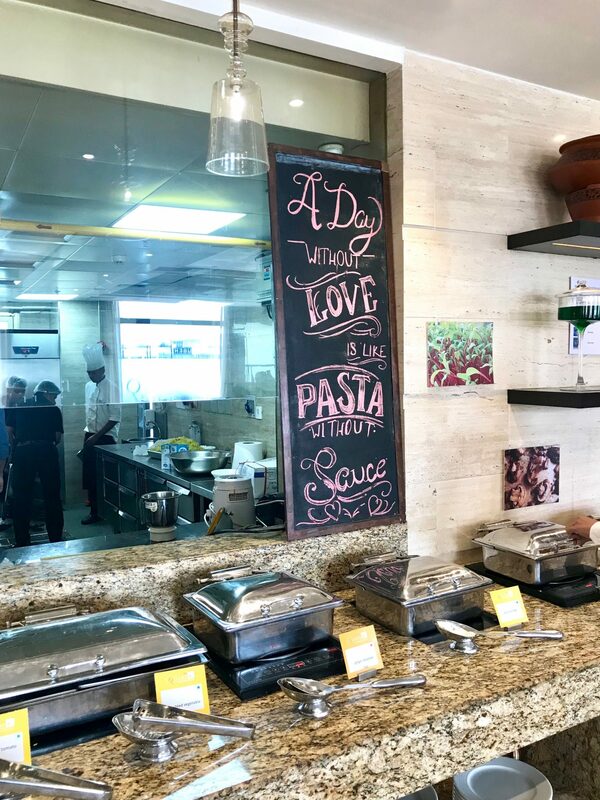 Other options on the breakfast menu included Chicken Sausages, Boiled Eggs, Plain Porridge, Ginger steamed fish, Grilled Tomato, Sautéed Vegetable, Milk with cornflakes and muesli, Juices, Detox water, Chicken salami, Aloo Bonda and Pav bhaji. I ordered for a tea to keep myself awake and headed to the room to plan my day ahead. 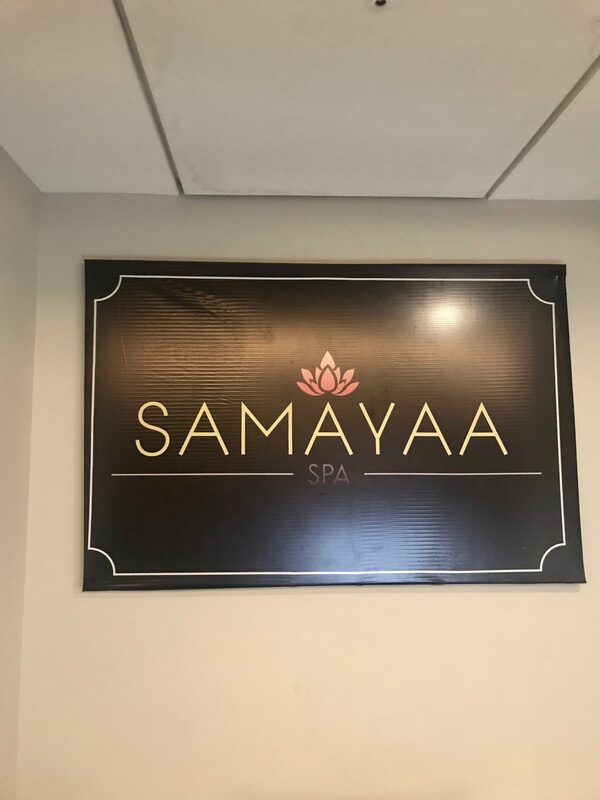 In no time, the clock struck 12 and it was time for me to head to the Spa. 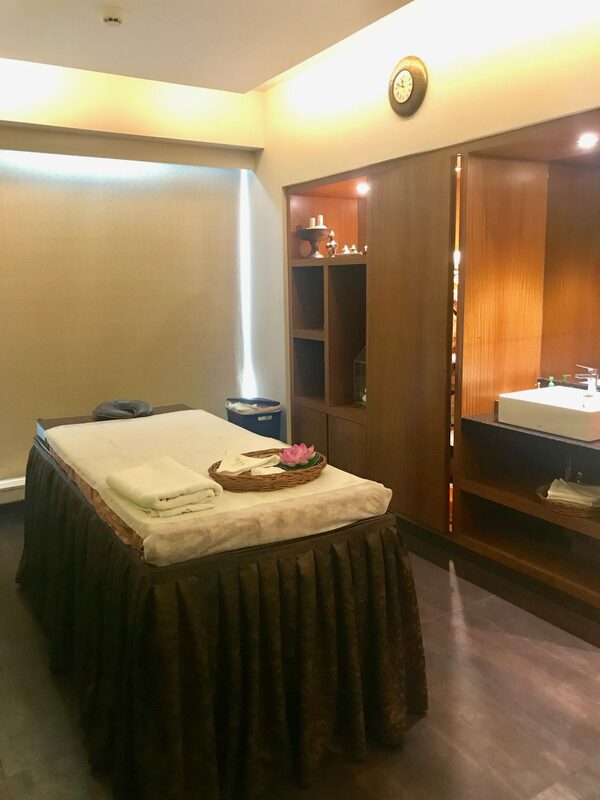 Owing to my busy schedule rarely do I get time to pamper myself but with the hospitality of Novotel Lucknow, they ensured I leave relaxed and rejuvenated! 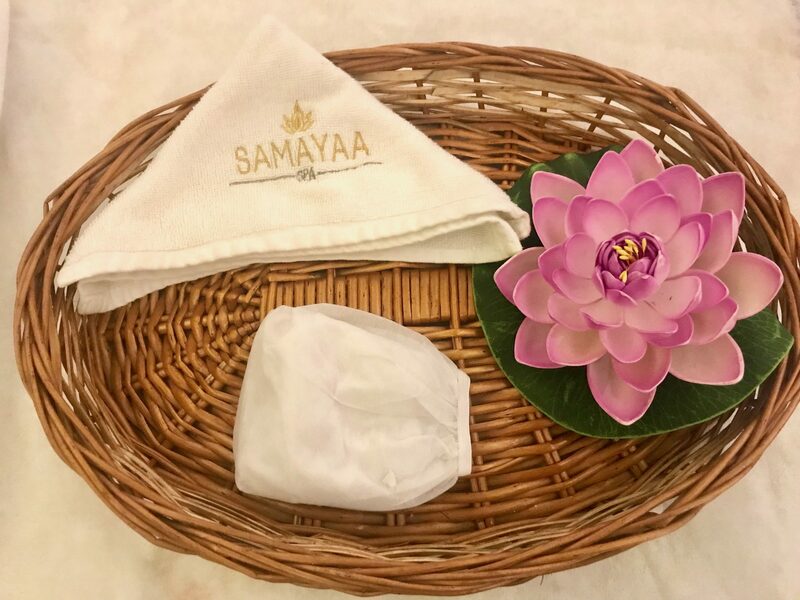 I entered Samaya Spa and chose Aroma Therapy massage from an array of options which range from Foot Massages to Facials to Body Massages. I entered a calm peaceful room and was requested to change. The massage therapist gave my body a new life making by pressing every pressure point. The 60 mins therapy was so relaxing! The massage was followed by steam and shower! 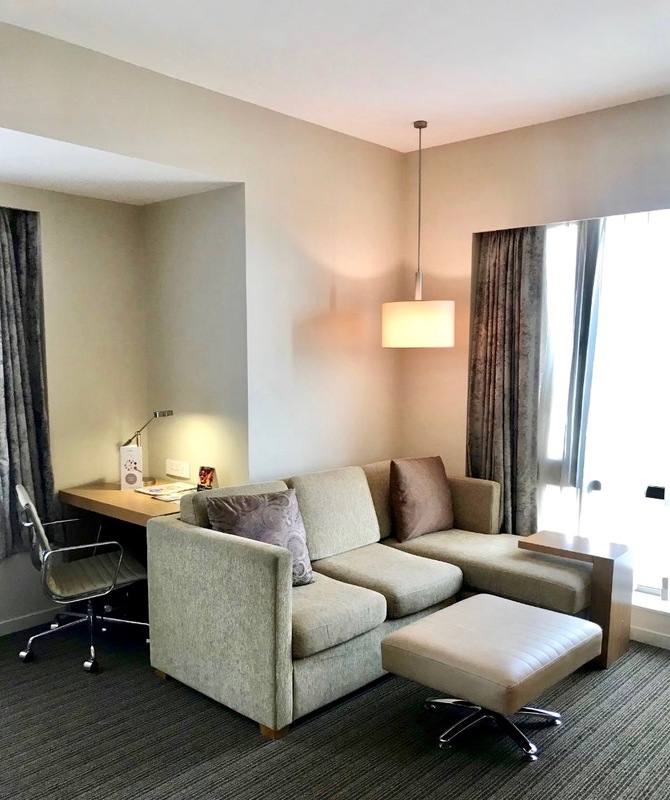 I headed to the room to dress up after the rejuvenation retreat but before I dress up I made sure I relax myself even more with a nice soothing green tea. It was now time to meet Mr. Raj Singh, the man who was at his hospitable best. He was not only modest and down to Earth but also one of the best hosts I have met. 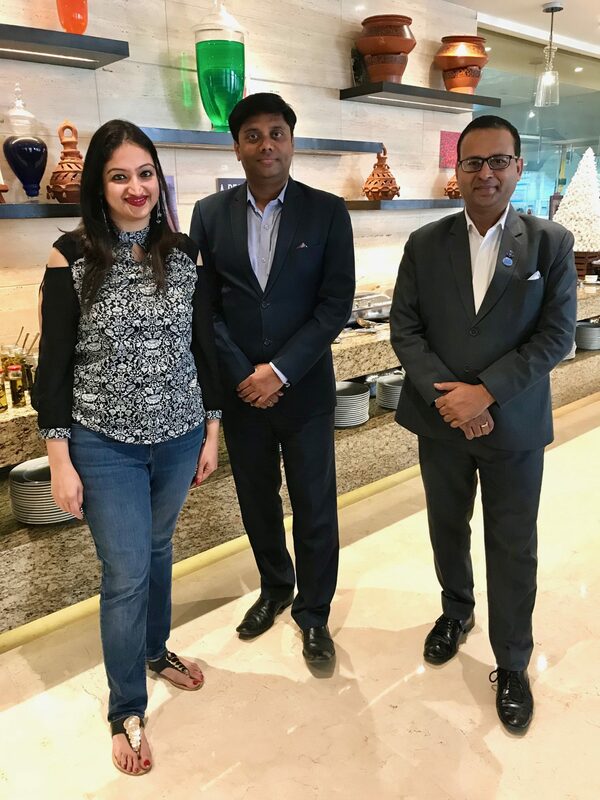 Mr. Singh was happy to be a part of Novotel Lucknow from the pre-opening stage itself and also informed me that the first Novotel property was opened in Paris 50 years back. Wow! That’s so iconic! Mr. Singh completed his schooling from Lucknow and has a fascinating history behind him. His last assignment was in Hyderabad, the city of Nizams! He is delighted to bring the contemporary Awadhi concept here and briefed me about the architecture of the grand property. 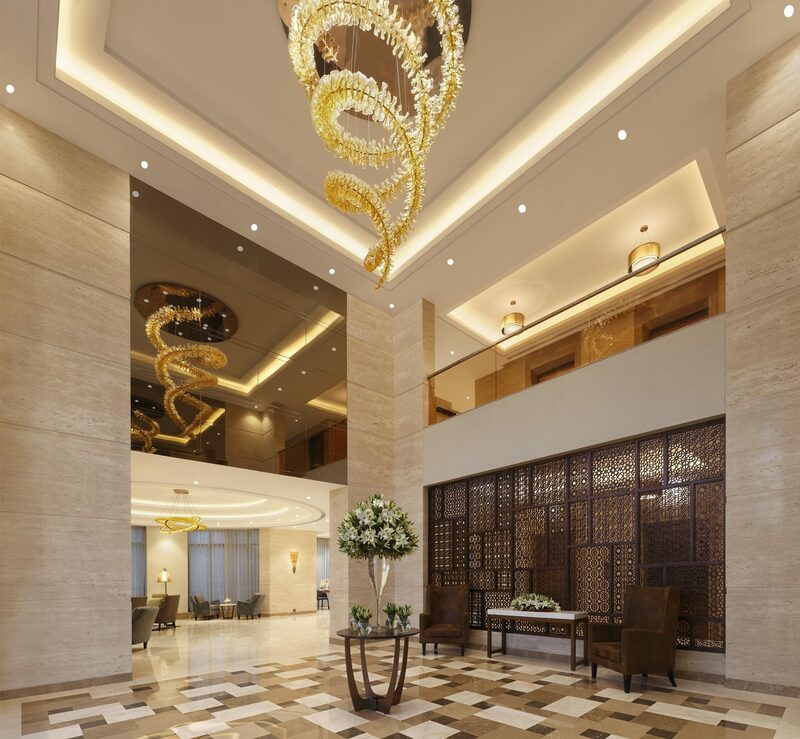 The wooden jaali at lobby level is inspired by the chikankari work and the chandelier is again a piece of art which is inspired from the Mudras of kathak. Yes, that’s the one above the flowers at the lobby. Mr. Singh loves reading fiction and is also a great cook. 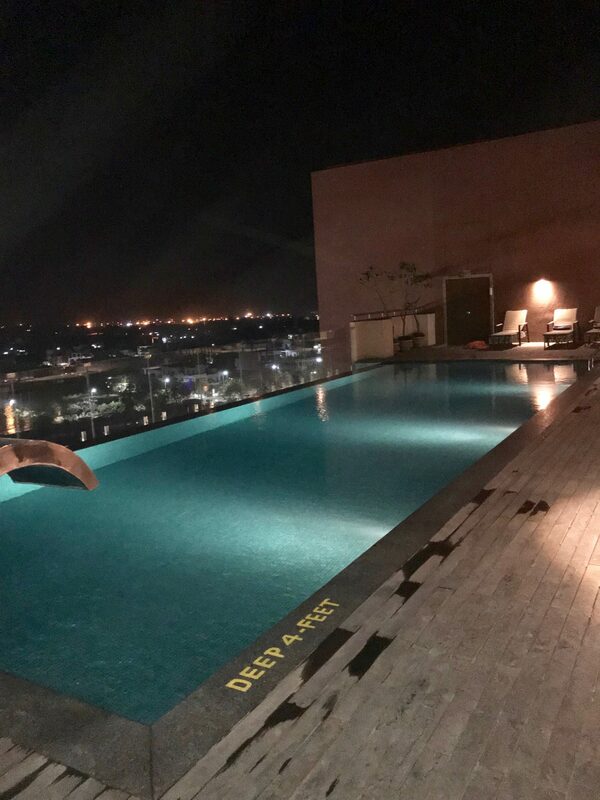 The meeting was followed by a hotel tour which included the rooftop Infinity Swimming Pool which was connected through the stairs of the rooftop restaurant, the fitness centre for the guests and the suites of the hotel. Not to miss was the Children’s play area and Xbox console in the lobby for the kids to indulge themselves. 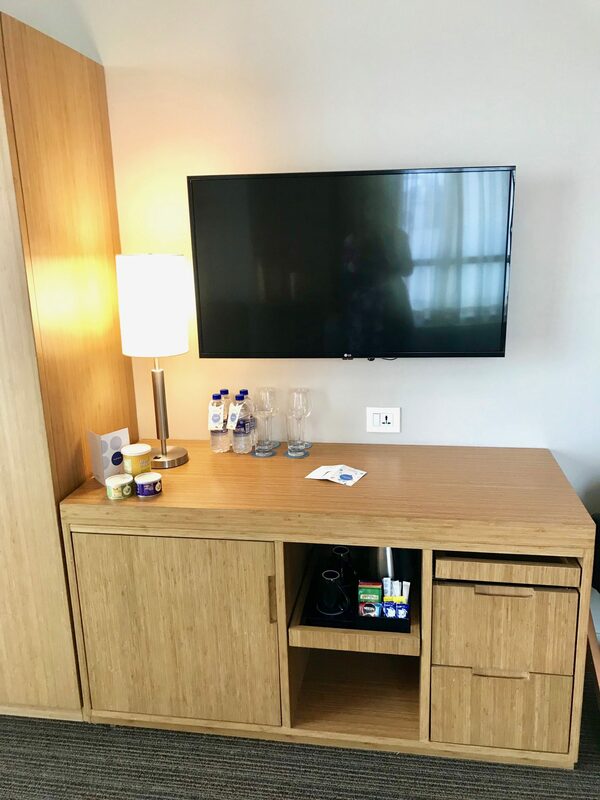 The family hotel also had a virtual concierge which not only told you about the places to visit but also flight details. For the ease of guests, there is also a business centre, travel counter and banquet facility for hosting parties and weddings. The hotel also offers car hire on an additional charge. 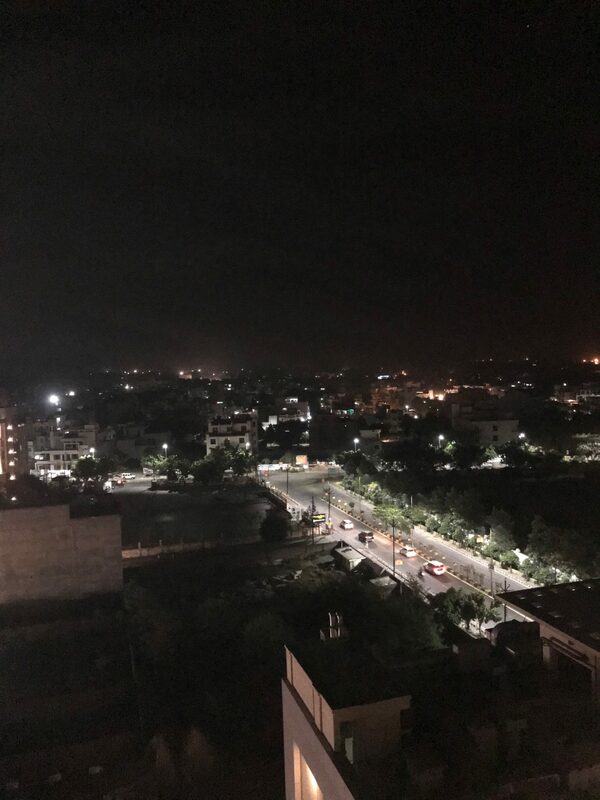 It was evening and I thought of doing some sight seeing before I bid goodbye to the royal city. It was already evening and most of the monuments would have closed so I enquired on the places I can go to. I went to Janeshwar Mishra Park and Gomti River Front. It was almost 9:30 PM by the time I came back so I freshened up and headed for dinner at The Square. The beautiful multi-cuisine restaurant was well-lit with a beautiful chandelier which was extending its glory along with the lights on the ceiling. Colourful props around the buffet made the whole place lively and vibrant. I was trying the Pan Asian delicacy for dinner and Tom Yum Soup made its way to my table. A nice nutritional blend with mushrooms, cherry tomatoes and basil extended colour as well as taste. Virgin Pina Colada was a great looking drink which instantly got me refreshed and in a beachy mood. Chilly Chicken Kathi Roll was served on a bed of onions with white and black seeds on a white platter. Chicken cooked with trio bell pepper made for a great stuffing and I loved the taste. The Veg Dimsums had more of onion stuffing than other veggies (not as per my liking ) but if you are one of those who is an onion fan then this one is for you. 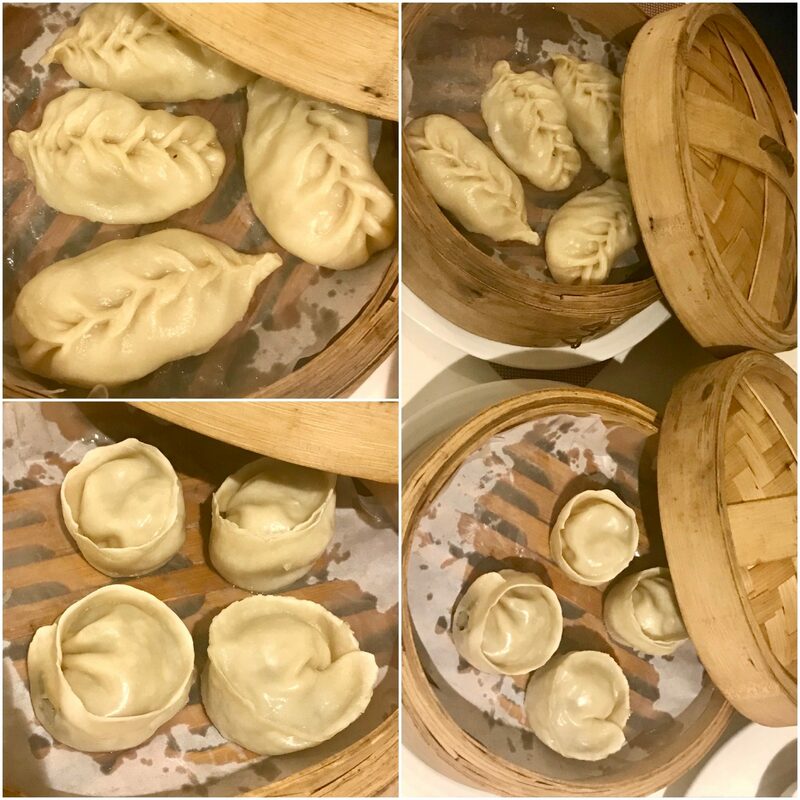 The Chicken Dimsums were well stuffed and extended a yummy taste. The dimsums were served with chilly and tomato dip. Chilly Paneer would be one of the most recommended dish here. The freshness of the paneer plus trio bell pepper could be felt with the perfect taste. Thai Fried Rice wasn’t as per my liking. I honestly felt they were overcooked. I loved the Garlic Noodles which had fried onions and added a lovely blend. The noodles were hand pulled and not ready made ones and I could easily identify the unique flavour. Schezwan Chicken was again an amazing treat For desserts, I had a platter which had Green Apple Chocolate Baked Custard, Coconut Barfi and Kaju Barfi. The custard had a unique presentation as well as flavour which I really liked while the other two barfis were good as well. The Deli: Finally, for guests looking for a quick bite to grab and go, The Deli at the lobby level serves a selection of fresh bakes and confectionery products to choose from. The Bar: The perfect spot to socialise, The Bar located on the first floor serves a range of single malts, cocktails, mocktails, spirits and wines. 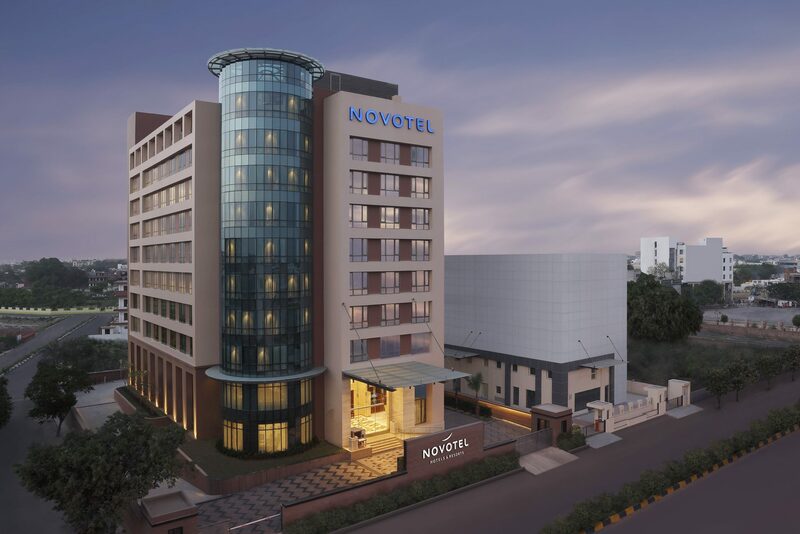 For meetings and events, Novotel Lucknow features two modern and stylish meeting rooms– The Ball Room and The Celebrations, both equipped with state-of-the-art technology. 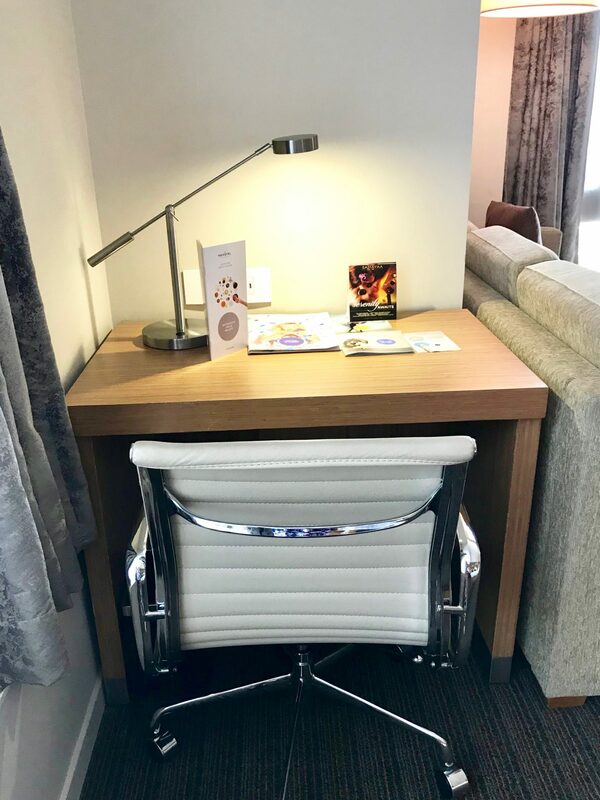 The meeting rooms can comfortably accommodate up to 150 delegates in theatre style seating arrangement and as many as 300 guests for social gatherings. 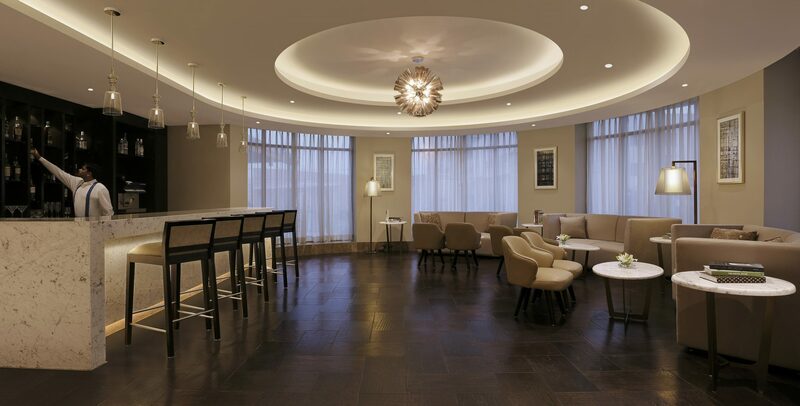 Log on to Accor Hotels or TripAdvisor for your booking!